You can use the code editor in either Visual Studio or Blend to edit code-behind. The code editor in Blend is similar to the editor in Visual Studio, providing color coding and Intellisense. 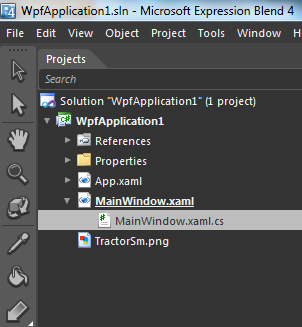 Double-click the code file from the Project window. For C#, this is a .cs file. 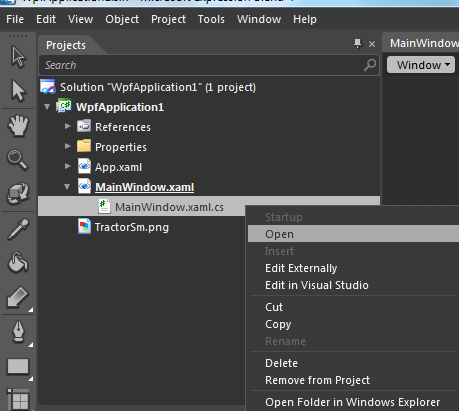 Right-click the code file in the Project window and select Open. Note that in both cases, you need to first expand the parent .xaml file in the project hierarchy. 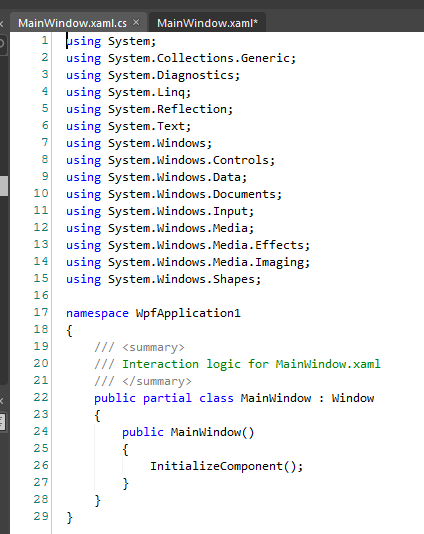 The code-behind is listed under its associated .xaml file.